It’s no secret that parents want the very best for their little one — from the foods they eat to the clothes they wear. Fashion is an important part of expression but should also be practical, budget-friendly, and kind on the planet. Discover the best organic kids’ clothing outlets in Singapore. 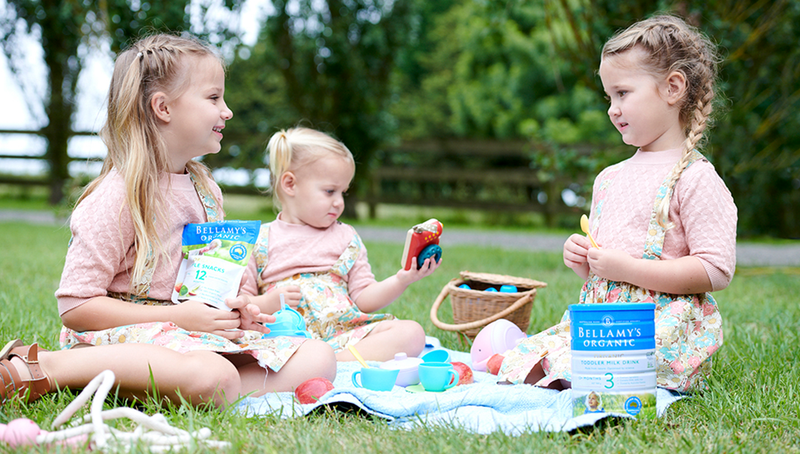 Kalila Organics makes high-quality and sustainable garments for children. It’s Singapore’s first childrenswear label to be given certification by Global Organic Textile (which is internationally the strictest known certification). Kalila Organics’ range is designed with your child in mind — comfortable, safe, beautifully patterned, and environmentally-friendly. The label has also partnered with One Tree Planted, and so 1% of each purchase goes to fund the planting of new trees in the region. The Little Bao prides itself on providing organic and environmentally-conscious apparel for everybody in the family — from pregnant mums to newborns. Their healthy and sustainable clothing is just a part of the label, which also sources baby carriers and even cosmetics for mums. Organic Baby Gifts is a boutique online store. Their focus is on organic products which prioritise health, comfort and wellbeing of you and bub. All of their clothing and accessories are made from certified organic cotton and natural fibres. The same can be said for the toiletries, also certified and made using all-natural ingredients. Organic baby gifts’ toy selection is mainly comprised of organic cotton plush toys and natural wooden teethers. This Singapore-based business, Charli offers a wide array of quality, soft and stylish organic cotton clothing lines for bub — from fashion icons like Kate Quinn Organics and Sapling. In addition, you may also find on Charli’s website a nice collection of plush toys, feeding essentials, and soft furnishings/accessories for infants and toddlers. Modern and chic, Kerry and Mase was established back in 2014. Their focus in on creating beautiful and unique rompers made with organic silk and cotton silk — soft and lightweight, bub will not only look cool but also will be extremely comfy. The cotton used in the clothing is certified by GOTS, so rest assured it’s of the highest quality and standards. This online retailer has a huge selection on everything organic-related for bub, including clothing, toys and baby accessories. Everything they feature is environmentally-conscious and sustainable. Launched in Singapore in 2016 by a couple, We Are Minimal answers all your prayers when it comes to sustainable and environmentally-friendly-made gender neutral basics. The label focuses on timeless classics known for their comfort, quality and ethics. After all, less is more, right? Sea Apple is an independent children’s boutique based in Singapore, focusing on modern clothing and beautiful prints for children aged 0 – 6 years. You can buy online or in selected stores. Sea Apple’s products are all made organically and sustainably, using GOTS-certified organic cotton for all their original prints. The unique name of the label alludes to The Sea Apple tree — one of the ten most common trees in Singapore — a simple, yet sturdy tree that thrives along the coastlines of Southeast Asia. The Good Label sells sustainably-made clothing and accessories. The label’s focus is to live a good life — good for you, your family, your community and the planet. The Good Label’s collection brings something a little different and unique to everyday baby apparel. When it comes to your baby, organic is better — and this is true for foods and for clothing. Take a look at our full range of certified organic products at Bellamy’s Organic today. Contact us if you have any queries.